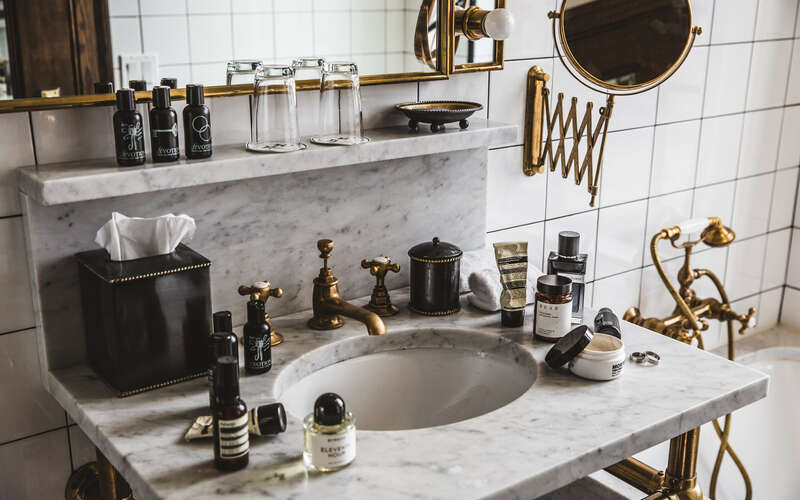 For whatever reason, men seem to find skincare quite daunting. Whether that boils down to not knowing where to start or just an overarching apathy remains to be seen, but at its core, skin is our largest organ. Male or female, we need to ensure our skin is functioning at its healthiest. Male and female skin isn’t all that different. 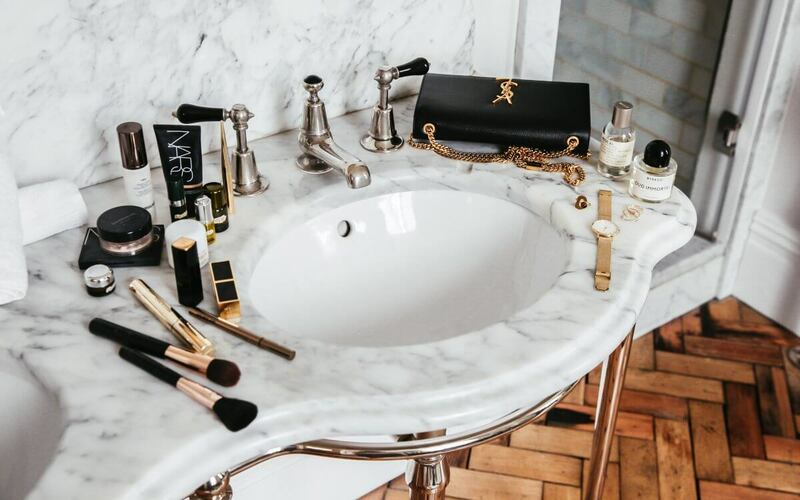 The foundations that make up a healthy skincare routine rarely differ- we need to cleanse the skin, balance and regulate the way it produces oil and protect it from environmental damage and stressors. Foundations aside, there are a few ways in which male skin differs from female skin. 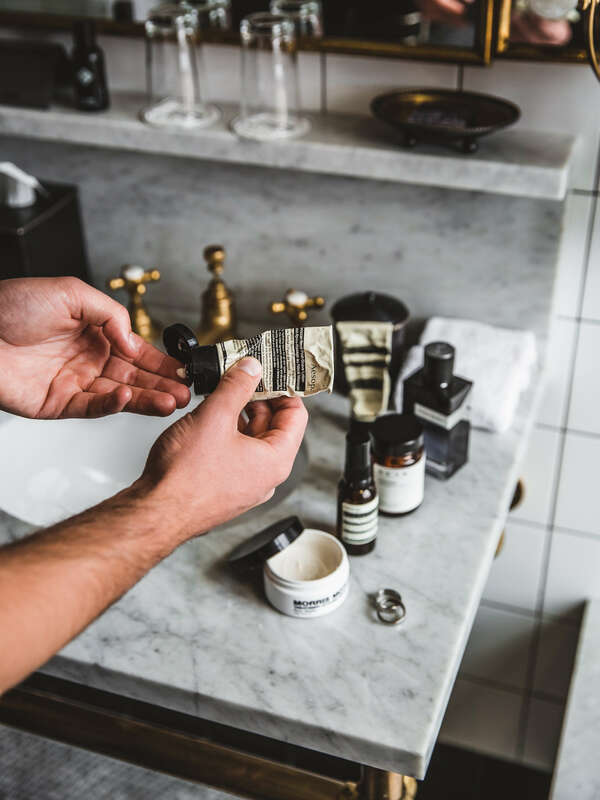 Traditionally, men have much thicker, rougher skin than females, so while it is able to withstand environmental damage it can benefit from thicker, more softening moisturisers than female skin. The other major difference is facial hair. Acne and blemishes are caused by blocked pores, and ingrown hairs are a huge pore-blocking, acne causing culprit. 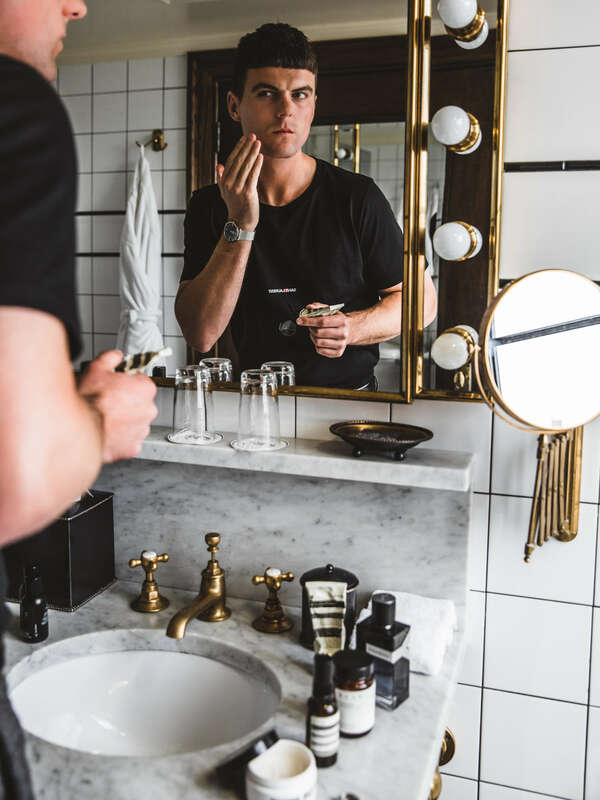 With this in mind, men can really benefit from using a gentle chemical exfoliant to dissolve and absorb impurities found deep within the pores to ward off any painful spots. Not quite sure where to start? Here are the products all men should invest in for skin that functions at its healthiest. Cleansing is an absolute necessity. You wash your body thoroughly every day, so why not give the skin on your face the same attention? 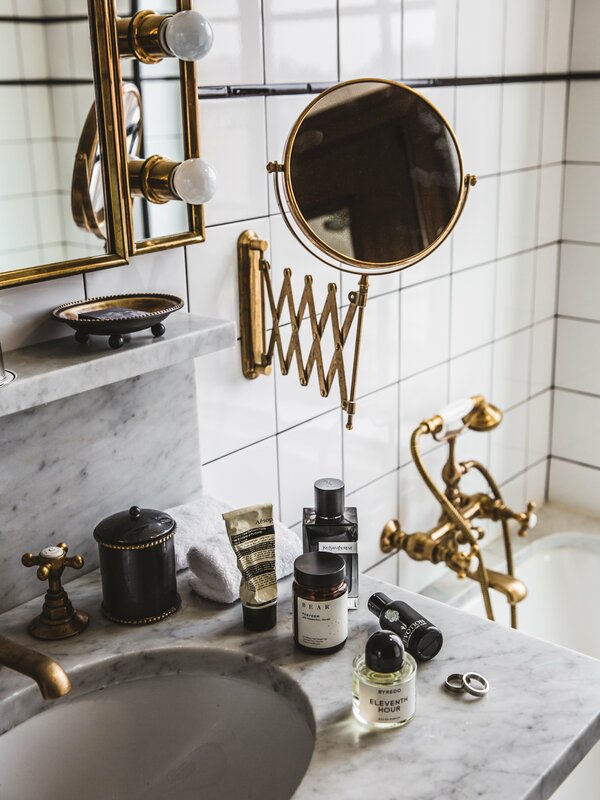 Throughout the day our skin attracts dirt, grime and bacteria, and overnight we produce oil that needs to be cleared away, so cleansing morning and night is essential. Before you ask if you can use your body wash or bar soap on your face, the answer is no. The healthy pH level of facial skin is different to that of the body, so a gentler, facial specific cleanser is required here. No more than every second night, use a gentle BHA exfoliant to clear the skin. 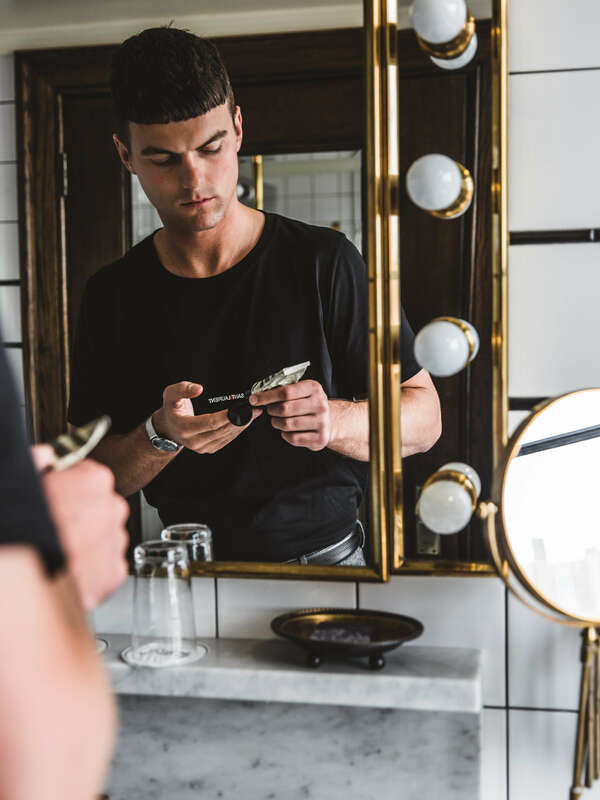 BHAs, or Beta Hydroxy Acids, work to exfoliate the skin from within the pores, dissolving excess oils and acne-causing bacteria and loosening up any ingrown hairs blocking the follicle. Look for products containing a low concentration of Salicylic Acid, then gradually build up to a higher percentage. A moisturiser is the key to softening the skin for a smoother, more youthful looking complexion. A basic moisturiser is fine here, so don’t feel that you need to splurge. If you have specific skin concerns, like pigmentation, acne or ageing, it’s worth adding a serum into your routine beside your moisturiser. Serums are concentrated solutions formulated to target even the most nuanced of skin conditions. Think of your serum as the real heavy lifter of your new routine. SPF is non-negotiable. Every. Single. Morning. Even if the weather is forecast to be cloudy, dangerous UVA and UVB rays can still penetrate the skin and cause lasting damage. Not working outdoors? Doesn’t matter- sitting in the car and even walking the dog or checking the mailbox leaves you susceptible to irreversible sun damage.